Indira, I Do | Life. Crazy. Beautiful. I was inspired, earlier this year, by Indira Naidoo. Not, as you might think, to become an awesome writer or journalist (which would make sense, because she is awesome at these things), but – to make a salad made from plants on my balcony. Some wonderful friends gave me a copy of Indira’s book, The Edible Balcony. The title of which, when you first hear it, makes you think (or at least makes me think) of the Homer Simpson episode where he dreams of the land of chocolate, and everything, including the houses – and balconies one would expect – are made from chocolate. This is not the kind of edible balcony we are talking about here. 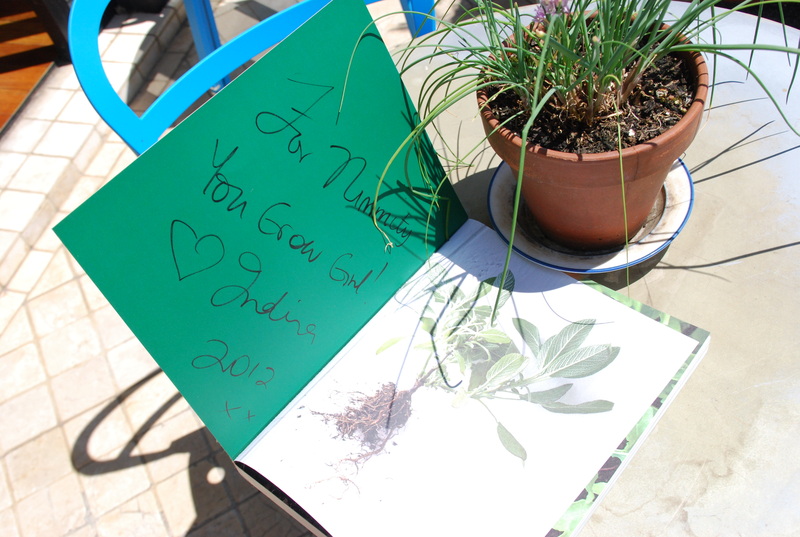 Indira’s book is about growing food on your balcony. When I got the book, I’d dabbled in a little herbal growing. You know, basil from the fruit shop, and a bit of mint. The idea that I could grow actual veggies and stuff, well – that was kinda cool. It seemed especially cool after throwing out yet another fridge full of soggy week old green stuff, that had once resembled vegetables, but now looked like it came from another planet. There must be a better way. I would grow my own. I started with some seedlings, and lettuce – and for a many months now I have been able to make my salad for work each, day purely from the spoils of my balcony. Not only is it saving me money, it tastes awesome! And I’m sure it’s healthier. How much fresher can you get, picked that morning to eat a few hours later? With Spring here, I decided the Balcony Garden needed a re-vamp. I’m pretty pleased with the efforts. My new thing – growing from seed (no – they are not just pots of dirt, there are seeds in there). My thinking is – its cheaper (seeds are really cheap), and I’ll get more plants for my money. The only problem is, its also slower, so I might have to top up my greens from the store in the meantime. Mmm. There is something enormously satisfying about eating something you have grown yourself. But somehow it is even better to sit on your balcony, sipping a coffee, surrounded by your own little mini-farm. Its amazing what a few plants can do to a space. Ten minutes spent watering my plants is a very peaceful, meditative start to the day. I’ve grown to love it. 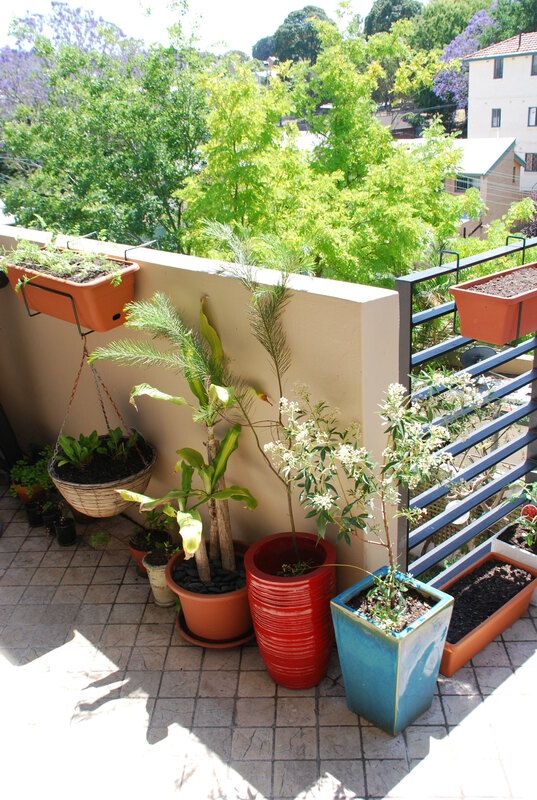 This entry was posted in Uncategorized and tagged balcony garden, grow, Indira Naidoo, inspiration, The Edible Balcony by Nimmity. Bookmark the permalink. You have a very impressive garden for a balcony. I think I will at least make an effort to have an herb garden. Pingback: The Next Adventure: London Baby! | Life. Crazy. Beautiful.